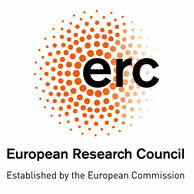 The European Research Council (ERC) has awarded a Consolidator Grant endowed with 2 million Euro to Emmy Noether research group leader Florian Toepfl. Toepfl is the first communication scholar affiliated with a German university to be successful in this line of funding at the consolidator level, which invites applications of outstanding scholars 7-12 years after receiving their PhD. In 2018, only six ERC consolidator grants were awarded to social scientists and humanities scholars affiliated with German universities. Across all disciplines, the ERC received 2,389 research proposals in 2018, out of which approximately 12% (291) were funded. For more information on this funding line and the projects that were successful in 2018, please see here. The ERC consolidator funding will enable Toepfl to set up a group of five researchers that continues the lines of inquiry of his current Emmy Noether group. The new ERC project, which will probably commence in November 2019, is devoted to the topic “The Consequences of the Internet for Russia’s Informational Influence Abroad”. Its aim is to investigate how Russian elites are exploiting new media to influence public opinion in European and post-Soviet countries, including Germany, Belarus and Estonia. A short abstract of the project can be downloaded here.